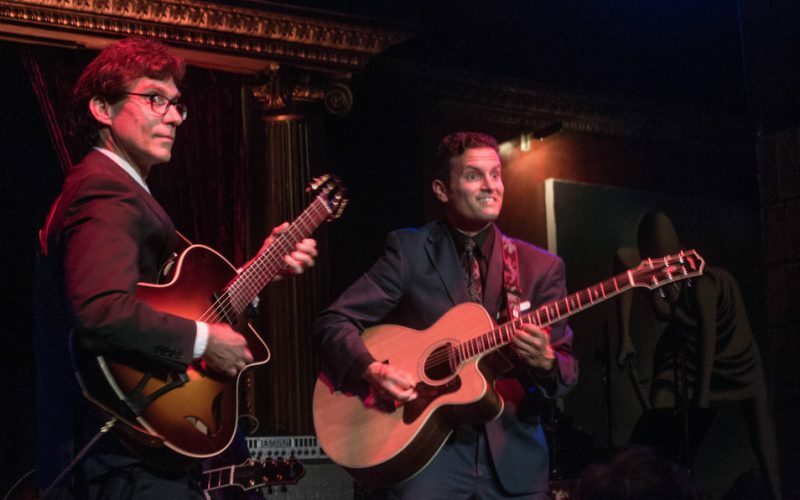 When Frank Vignola was asked to put together a team for what will hopefully be the first of a long run of guitar nights at New York’s Cutting Room, he called “all of the Italian guitar players I could get,” he said with a wink at the club on the evening of June 3. These weren’t just any “Italian guitar players” though. First, there was Vinny Raniolo, Vignola’s longtime musical partner. 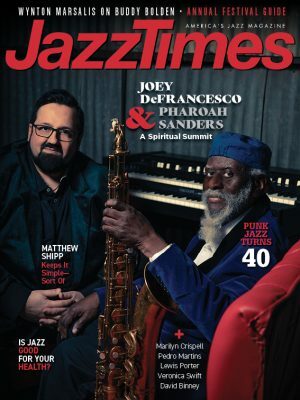 The two of them together are a force of nature: superior, simpatico, entertaining players with a wide-ranging repertoire and off-the-charts facility. 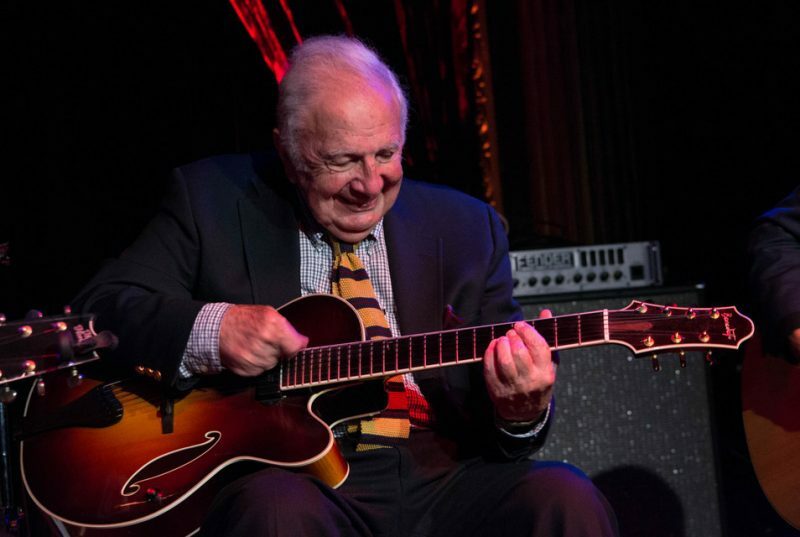 But what made this surprisingly sparsely attended show one for the books was the inclusion of the pair’s two special guests: Al Caiola, 93, and Bucky Pizzarelli, 88. Each of these musicians is still remarkably articulate on his instrument: Whether playing solo, in duets or as part of the all-guitar quartet (no rhythm section needed), they were delightful to watch and hear. Caiola is rarely seen in a live setting, at least these days. A legendary studio session player and recording artist under his own name, he is best known for his work in TV and film in the ’60s (“The Magnificent Seven,” “Bonanza,” the latter played this evening). 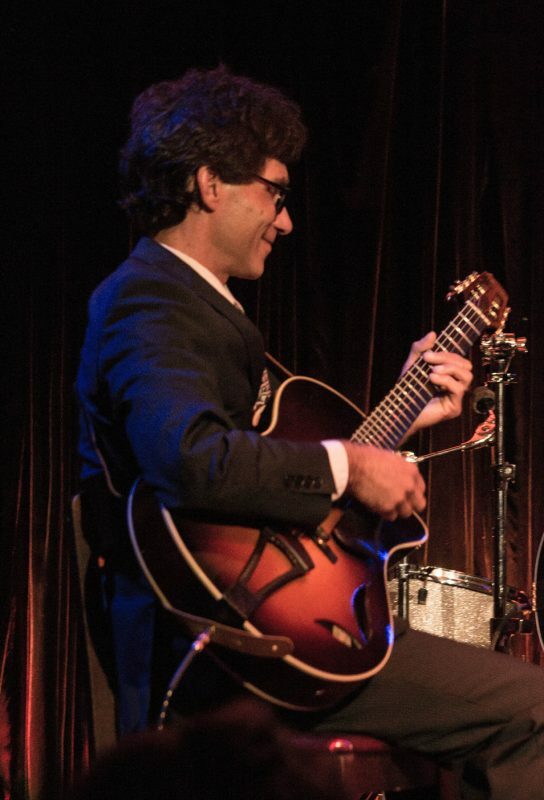 His credits are a mile long-his guitar graced releases by everyone from Buddy Holly to Herbie Hancock, Simon and Garfunkel to Tony Bennett-but he’s known more as a sideman/accompanist than frontman. 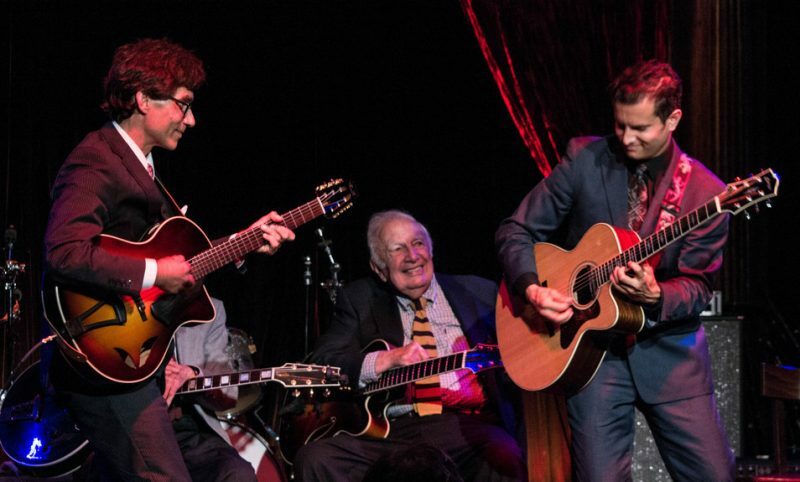 Pizzarelli, on the other hand, has always been ubiquitous, performing in concert settings regularly as well as on countless recordings. Together, seated onstage, the four musicians wasted no time showing that, despite the years (Vignola is 48, Raniolo 30), there would be no generation gap getting in the way. Opening with an easygoing standard, “If I Had You,” trading solos and syncing rhythmically, they established right off the bat that they’d keep things loose but lively in this cozy room. For “Limehouse Blues,” the ’20s standard, Vignola took the first solo-Djanogo-esque, crystalline and carefully considered-then handed things over to Raniolo, who gave the melody a bluesy, lyrical turn. All hell broke loose when the quartet turned up the velocity, and if anyone expected the two senior citizens involved to have trouble keeping up they were undoubtedly in for a surprise-these two guys are sharp and Pizzarelli, for one, positively rocked. A pair of lighter tunes, Antonio Carlos Jobim’s “Wave” and the ’30s ballad “These Foolish Things Remind Me of You,” were stocked with nuanced, distinctive voicings that meshed so naturally you’d never know this was the first and only time these four had shared a stage. In “Cherokee,” the final song of the set before an encore of the standard “Undecided,” the guitarists engaged in simultaneous solos that each followed its own melodic whims yet somehow dovetailed harmonically with the other three. 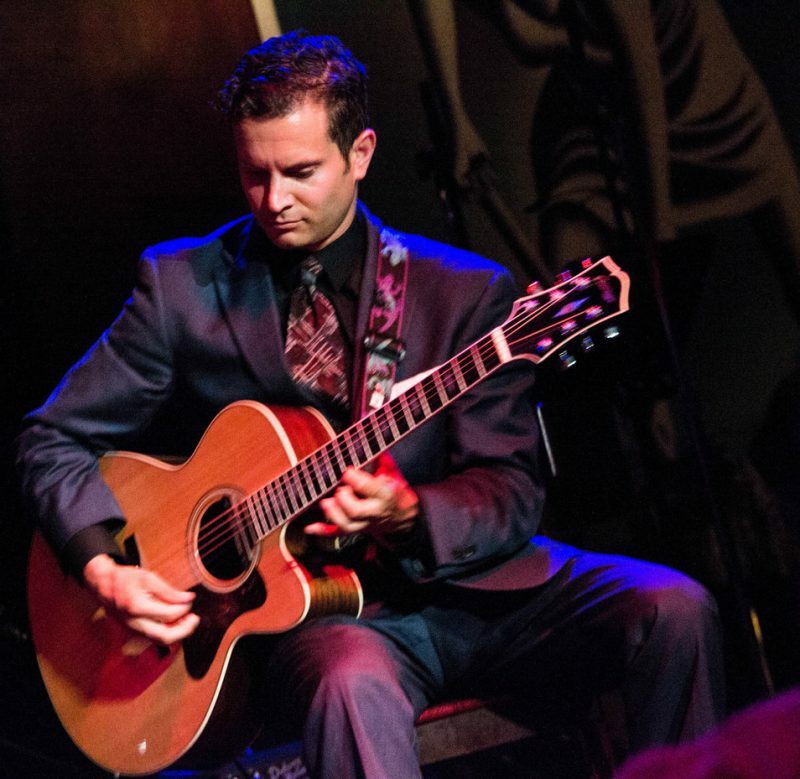 Unaccompanied solos provided insight into the individuals’ particular strengths and duets emphasized the players’ ability to bring out the best in one another: Caiola’s workup of “Tenderly” was appropriately gentle, and when Pizzarelli jumped in to support him with understated support chords he added a whole other level of texture. And there was a fine example of what Vignola and Raniolo do on the road 200 nights a year: a medley, featuring just the two of them, that encompassed all sorts of theoretically incompatible melodies and eventually sidetracked into a snippet of Led Zeppelin’s “Stairway to Heaven”-not to mention a volley of hilarious one-liners (most about crappy hotel rooms) that suggested the pair could have a career in standup if they ever get tired of being virtuoso guitarists. 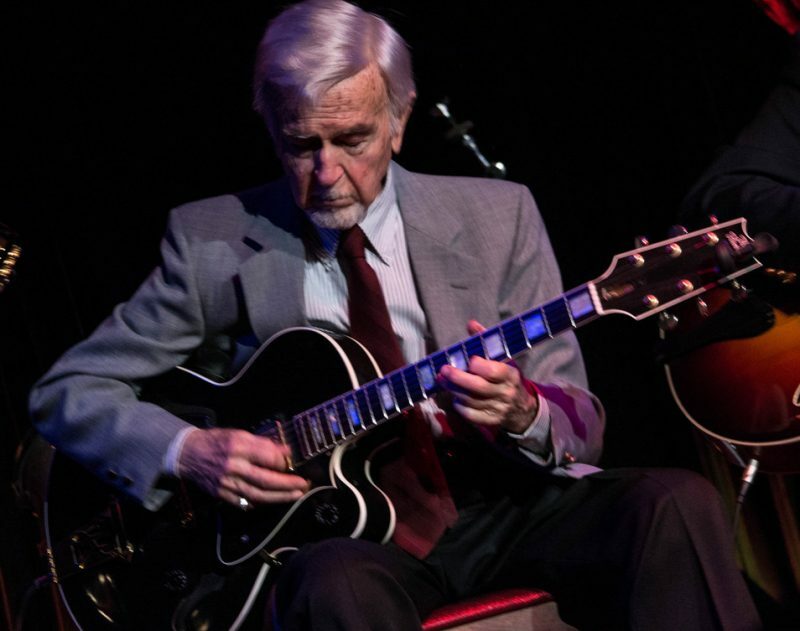 With folks like Al Caiola and Bucky Pizzarelli serving as inspirations though, don’t expect that to happen for another 40 or 50 years.